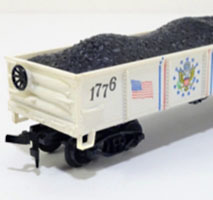 Life-Like joined in the craze for U.S. 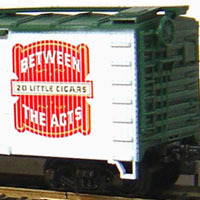 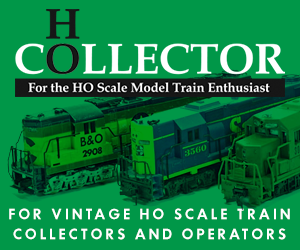 Bicentennial model trains with a number of releases, including this series of HO-scale rolling stock offerings. 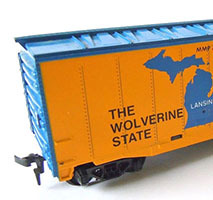 Brought into Mantua’s line in 1983 was this 41-foot steel boxcar model. 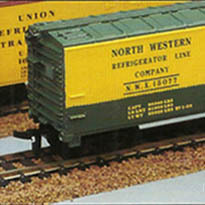 The tooling came from the Lindberg product line and dates to 1960. 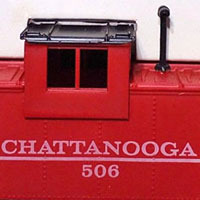 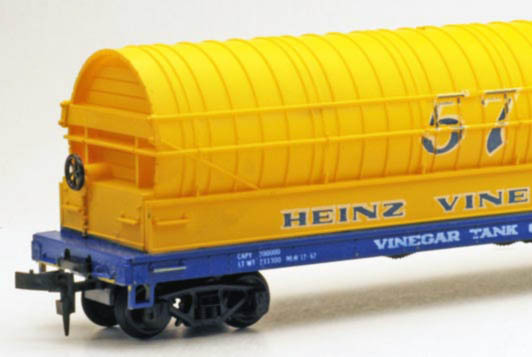 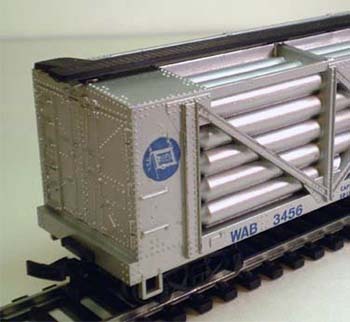 One of the original Mantua-TYCO freight cars to appear in the second generation Mantua line was this 40-foot ice-hatch wood-side refrigerator car model. 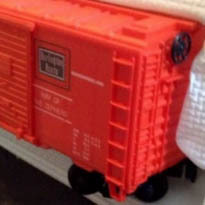 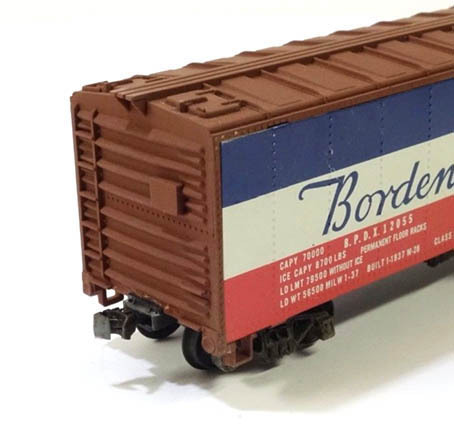 In the 1970s, every line of model trains included a 40-foot boxcar and Cox was no exception. 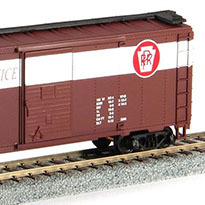 This is the Hong Kong version of the sliding-door boxcar cataloged beginning in 1974.